In the Sölvesborgs municipality two offshore wind power operations have been established in recent years: Blekinge Offshore and Taggen, each with different sizes. The purpose of the case study is a socio-economic analysis of Taggen. Here different development scenarios have been analysed and how these would affect their municipality. It is planned to deliver the results before staff working at the offshore wind site quit their service. How many jobs were created and what is the potential for job creation due to the expansion of offshore wind in the region? 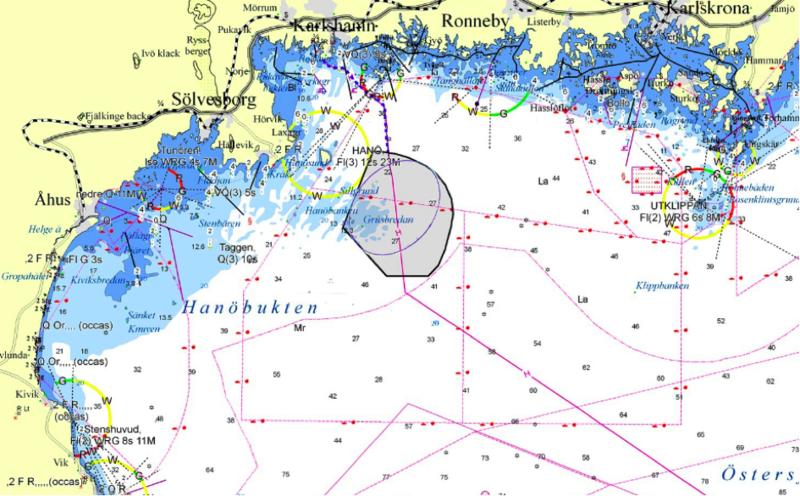 The Sölvesborgs municipality has two cases of offshore wind power establishments in recent years: Blekinge Offshore (500-700 turbines, up to 2,500 MW installed power) and Taggen (80 turbines, up to 300 MW), see map. Due to the different sizes of these two, the bigger one has received the most attention, and after the rejection of Blekinge Offshore, new investigations are needed. The purpose of the (recently started) project is a socio-economic study on Taggen (municipality of Sölvesborg). Here different development scenarios have been analysed and how these would affect their municipality. The report will be delivered before staff working at the OW site will quit their service. The analysis used the calculation model from 2010 to show the number of new jobs created by the expansion of the wind power (based on numbers from Vattenfall and from the Blekinge Offshore report). These numbers result in costs of 1655 kSEK per one fulltime job during one year and per installed MW. It has been estimated that 15.1 fulltime jobs (work opportunities) per installed MW can be created. Operating and maintenance costs per year have been taken into account in this calculation as well. Additionally to the numbers for the whole Taggen area, Vattenfall suggested to use the local effect of 5-10 %. The numbers are taken from an investment of offshore wind power mill (/MW). Vattenfall describes 5-10% of the work/job usually end up locally. How much depends on how active the local companies are when the contracts are written. On the industrial side, future perspectives are seen in the ports. The maintenance harbour will employ 30 annual jobs directly at Vattenfall, with presumably 30 more subcontractors. First results are provided related to the number of jobs for the first five years and also 20 years ahead, mainly for maintenance and the subcontracting services. The study also highlights first numbers about the level and hight of investments to create new jobs. The approach is transferable if sufficient data is available. The calculation costs are based on existing offshore wind farms and at least five years monitoring and experience with the sector. A shortcoming of the study could be the use of data provided by one company only. Also the regional costs and benefits of offshore wind have not been assessed. It is difficult to distinguish between temporary and permanent jobs although relevant for outputs. Multi-use approaches are not taken into account yet.